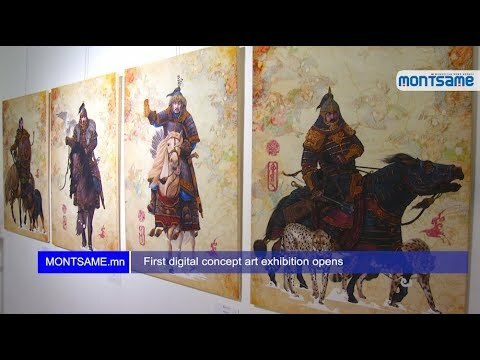 On the occasion of the 90th anniversary of the Union of Mongolian Writers, Laureate of the Union of Mongolian Writers, poet Lkhagva Ayurbuniya launched an exhibition entitled ‘Poet’s Portrait’ in collaboration with Best Art Gallery. 55 portraits of distinguished poets of different generations are on display. The portraits with different technique and feelings were created by some 25 painters, from representatives of senior generation including State Honered Cultural Figures, renowned portrait painters N.Orkhon, D.Gungaa, Laureate of the Union of Mongolian Writers, poets N.Orosoo and S.Altangerel to mid and younger generations such as B.Nasantsengel, Ts.Bold, Ts.Batjargal as well as S.Munkhbaatar and M.Bolortuya. Prior to this exhibition, painters used to create poets’ portraits by their views, personal values and choice. However, this time artists have united under common idea and crafted inimitable numerous works. “This became a totally new event for us,” the artists underlined. Under each portrait, poets A.Bayarjargal and A.Lkhagva wrote poems that voiced inner man, the path of life and essence of poems of the poet.